If you follow me on Pinterest you've probably noticed I'm just a little nail art obsessed and I recently spotted a design that really grabbed my attention. You can find the original design here. I don't know why this particular design caught my eye so much but I decided I needed to give it a try myself. 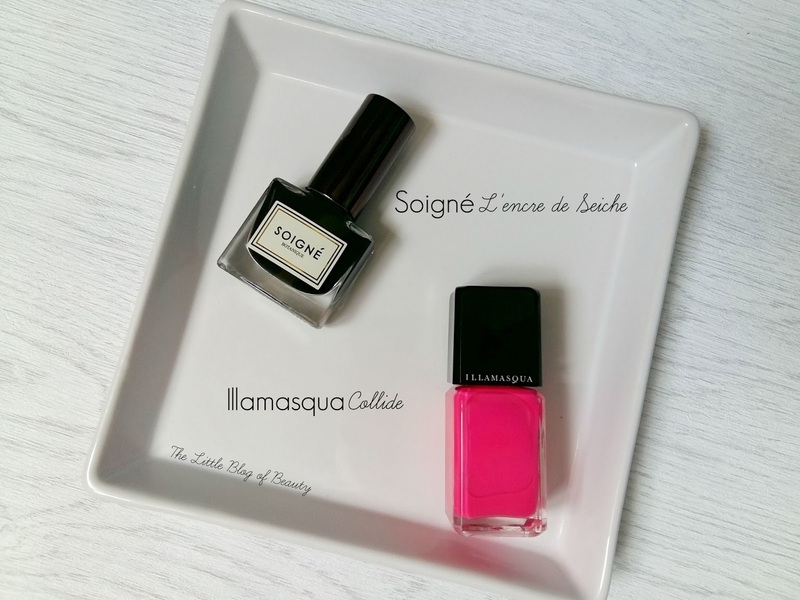 For my base I decided to go with the latest addition to my Illamasqua nail varnish collection which is called Collide. This was a TK Maxx bargain at just £3.99, which is a very good price as I believe Illamasqua nail varnishes are now up to £14.50 each. Although they are pricey I personally think they're worth it as they're such amazing quality. My camera has completely bleached out the neon-ness of Collide so you'll have to imagine this as a deeper much more neon pink, The sort of colour that means people can't fail to notice your nails, especially if you've them added a cow print over the top! For the cow print I just took a few different sizes of dotting tool and used Soigné L'encre de Seiche, which is a clean inky black. I overlapped a few dots to make larger patches and then dotted around a few smaller dots. I then finished it off with Seche Vite. What do you think of neon cow print? I love this nail art, it looks so pretty! I've got collide too it is so vibrant, £3.99 is an excellent price to pay!